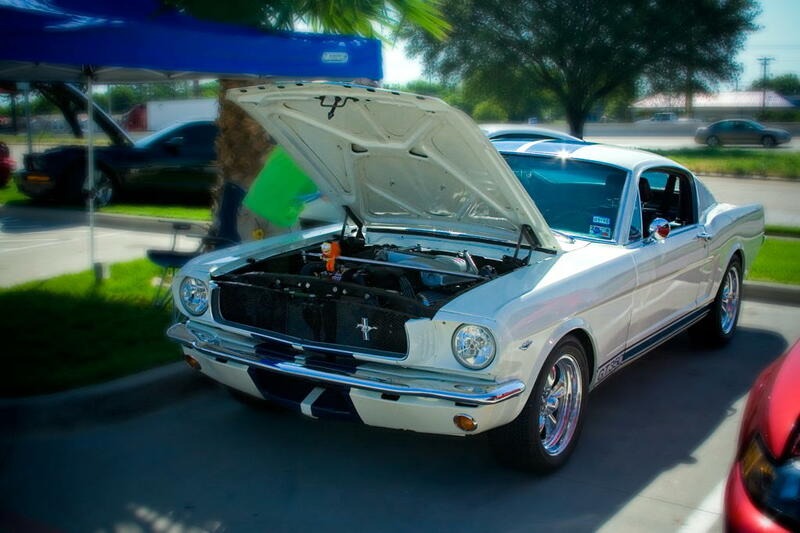 Tinkered with various Mustangs before this one, all the way back to High School when I had a 65 Coupe. 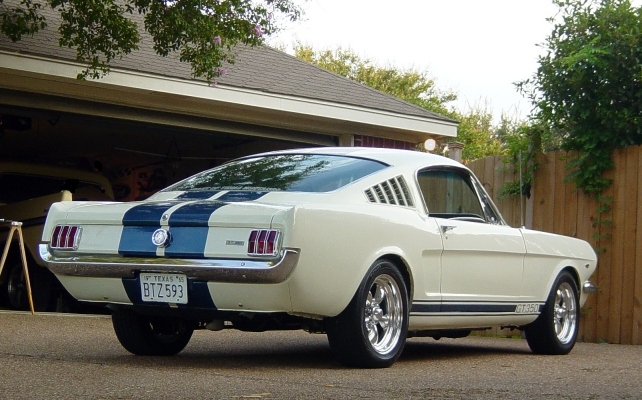 I bought this fastback in 1999 in Seguin, Tx and it seems like every year has been a project. A factory T code, it's was partially modded (note 4 lug front/5 lug back). this was the car when I brought it home in Aug99. Over the years, lots of mods - new suspension, steering, 4 wheel disc brakes, interior, different wheels/tires, blah blah blah...until I got to this look below that I liked and stayed with for several years. 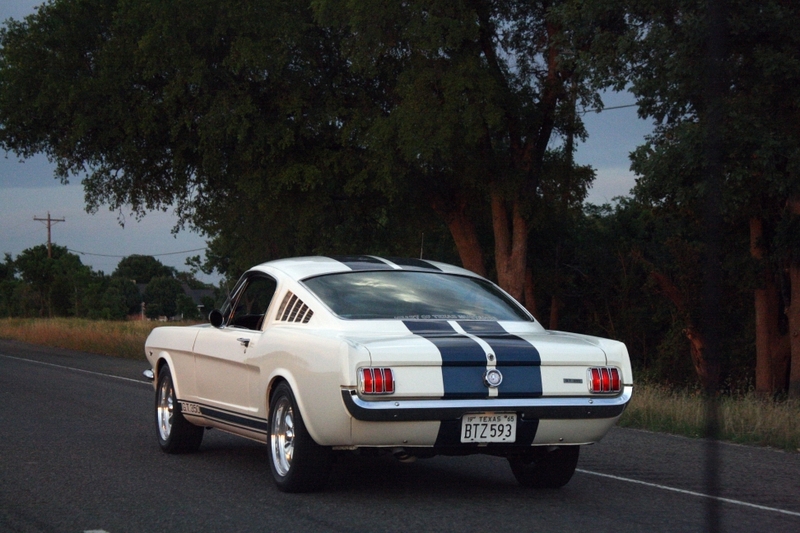 Car shown below has shelby drop, 620 coils, KYBs, 215/55-16s on 16x7 rims. 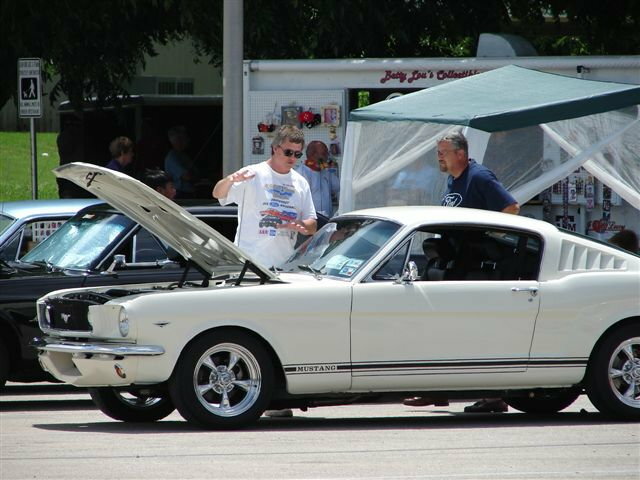 This was at a Warbirds car show in Lancaster with Steve, Tim, et, al. Replaced first motor with this one 302. Ran fine but I could never get the 600 holley to work right and it always reaked of gas. Starting to hide the wiring here. 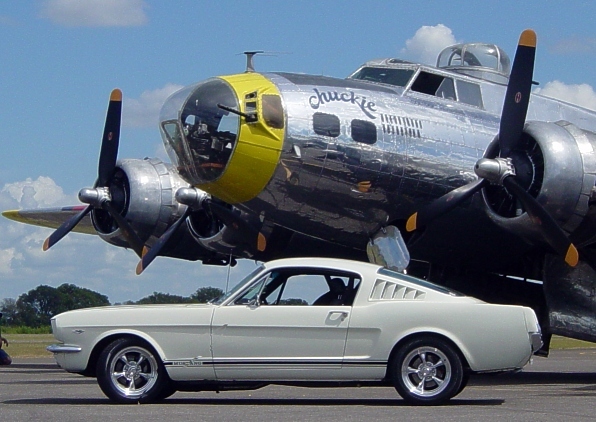 Note the cable clutch - a prototype built in MustangSteve's Carrolton garage. Worked great, I just couldn't keep the cable out of the headers. Ended up with this paint scheme about 5 years ago. 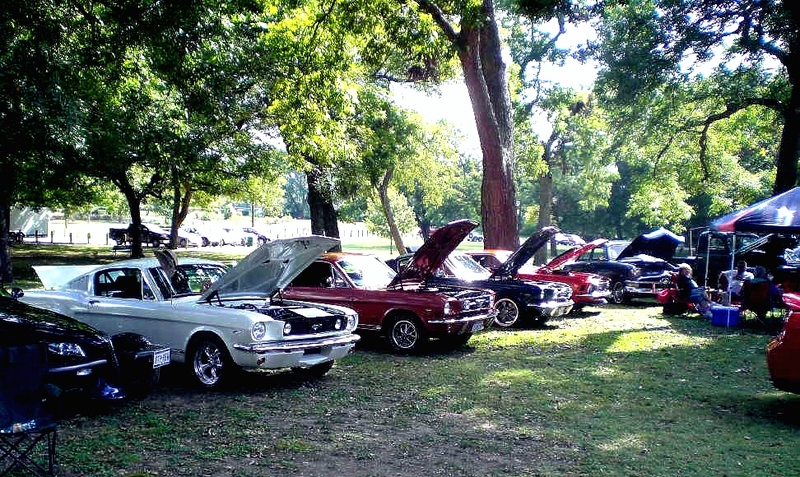 Gets a lot of attention at open shows, lots of snubs tho from Mustangers. Chicks dig it tho. More mods followed. i've really enjoyed the EFI swap and the tinkering to clean up the engine bay with minimal wiring, custom cold air, braces, etc... General configuration of car today is 92 EFI 5.0, T-5 trans with 3.55 - 8" rear. Granada Front/Ultrastang back disc brakes. Custom wiring, custom braces, custom hydraulic clutch, custom gages, relocated battery, subframes, procar elites, different MC, different alternator, ...blah blah. I've always liked that color combo. Its timeless. Love the car! One thought: Has the sharp elbow of the fabbed air intake caused you any issues with the idle? none that i can tell. in fact the only real issue I've had is with too much air being ingested. The air box is open to the front grill, and I had to place a partial restrictor over it to deflect the flow. 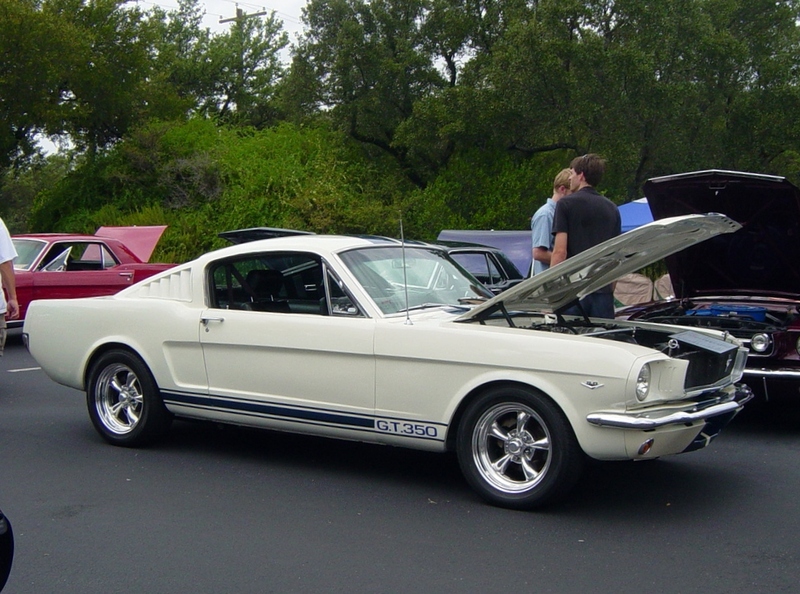 On initial test drives, the forced air would cause the motor to misfire at over 50 mph. Once restricted, it worked fine. 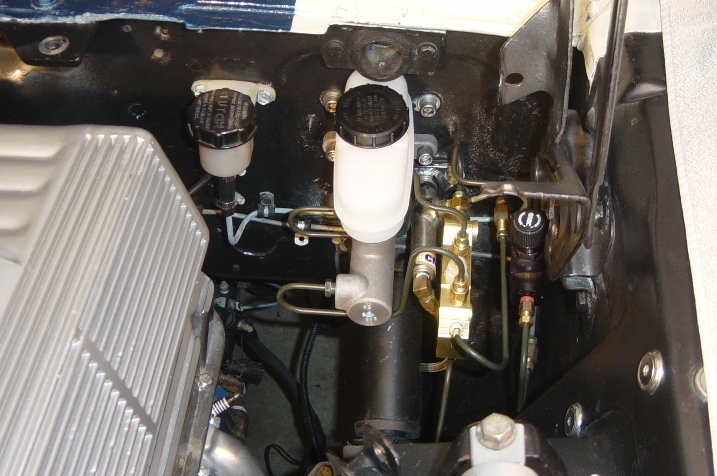 The picture of the disc-disc MC installed is very helpfull, just ordered the exact same with the engine side brakelines. Love the way the car looks. Very clean and good craftsmanship. I wouldn't change a thing. EFI Harness wiring after all extraneous wire was removed. I never tire of looking at your car . 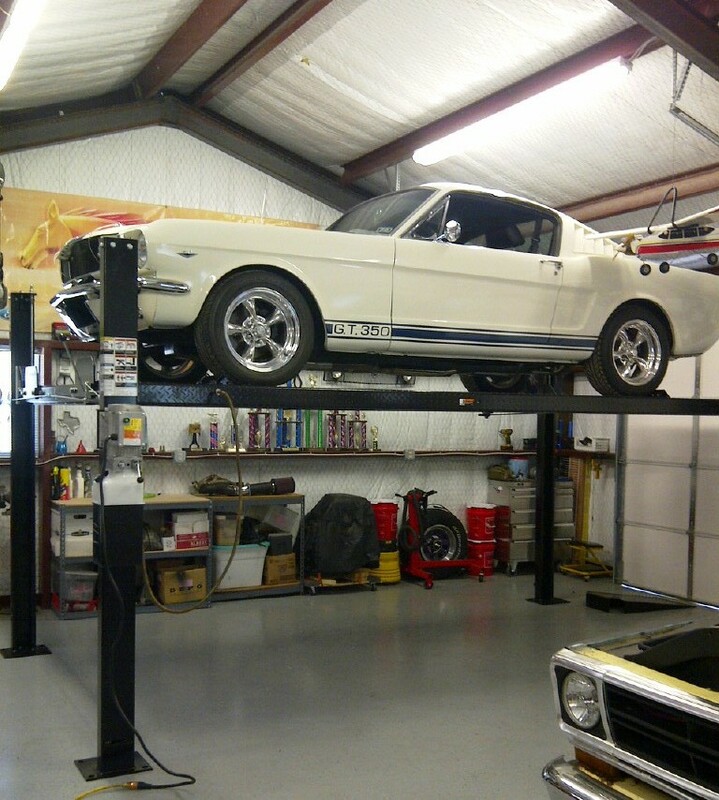 Most of the things I have done to my 66 came from your web site. Thanks for the inspiration.